Named after Hunter's founder, Henry Lee Norris, this neoprene-lined boot is built for sustained use on varied terrain. Crafted from a new and improved soft rubber compound, it fuses the unique design of the Original Tall with new technical developments for added resilience. Rated 5 out of 5 by KDub from Excellent boots Quality wellington boots. Love the reinforced panel giving the boots more structure and support. Neoprene lining is good since I only wear wellies in the autumn and winter. The adjustable gusset is better than the one used on the Balmoral boots. Hope Hunter use this gusset on future Balmoral adjustable neoprene boots, I'd be first in line to buy one. Rated 5 out of 5 by None from They are simply the best. 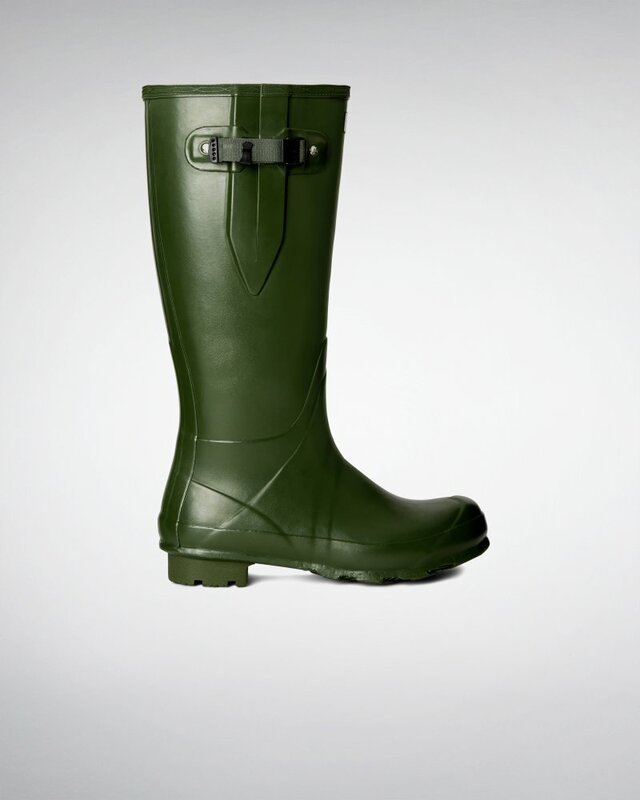 They are the finest Wellington boots ive ever bought and would highly recommend them to anyone. Rated 2 out of 5 by EJG31 from Sadly returned Service prompt and in time for Christmas, but sadly had to return as my husband couldn’t get them off easily. Very slim fitting around the ankle and arch of the foot. Rated 5 out of 5 by Charlie from HE loves them They look great. They apparently fit well. Definitely worth the money. Rated 5 out of 5 by KathK from Like the colour Bought for my son-in-law for Christmas. He was very pleased with them. Rated 5 out of 5 by KateM from Brilliant boots I bought these for my husband for Christmas. He loves them. Very comfortable and worn every day. Rated 5 out of 5 by Col c. from Excellent Wellington. I bought these wellies as I’ve had loads over my lifetime cheap ones and they just split after 3 or 4 weeks. These are really good fit perfect the only trouble is I nearly pull my hip out when getting them off. Excellent Wellington so comfy great for walking the dog on the fields adjustable top is a bonus, would recommend these to anyone. Wish I had gone for the next size up.